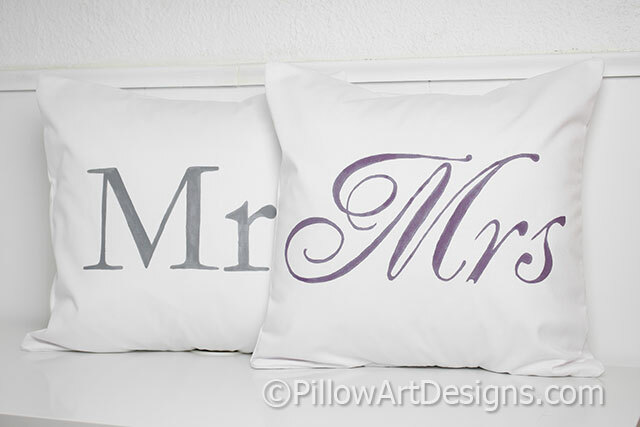 Bride and groom, Mr and Mrs pillow covers painted in grey and purple on white cotton twill. 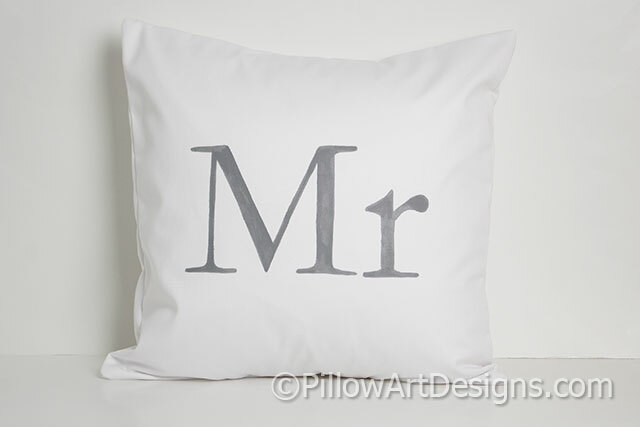 Covers made to fit 16 X 16 pillow inserts (not included). 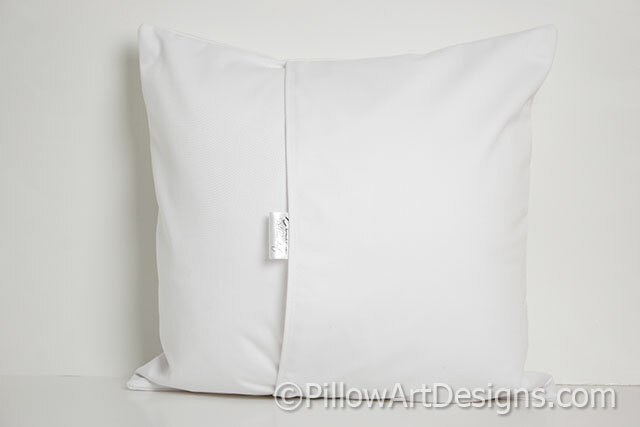 Outer fabric is white cotton twill, fully lined with white cotton polyester. 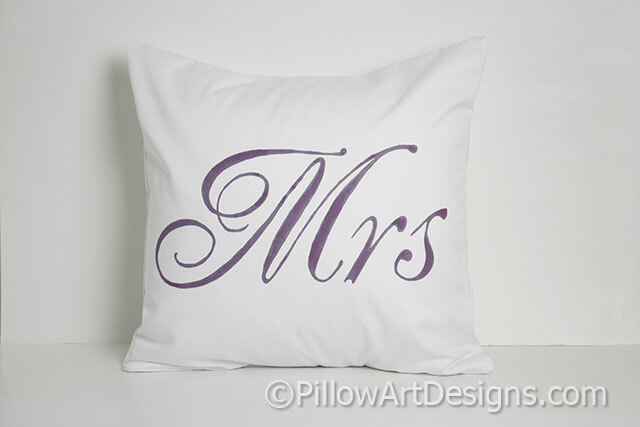 Quality non toxic fabric paint used, will not wash off, flake or rub off.